Nau mai haere mai – Welcome! Welcome to our Park! We are a small and friendly Park, ideally located right beside the Whanganui River and bordered by 23ha of primary bush. 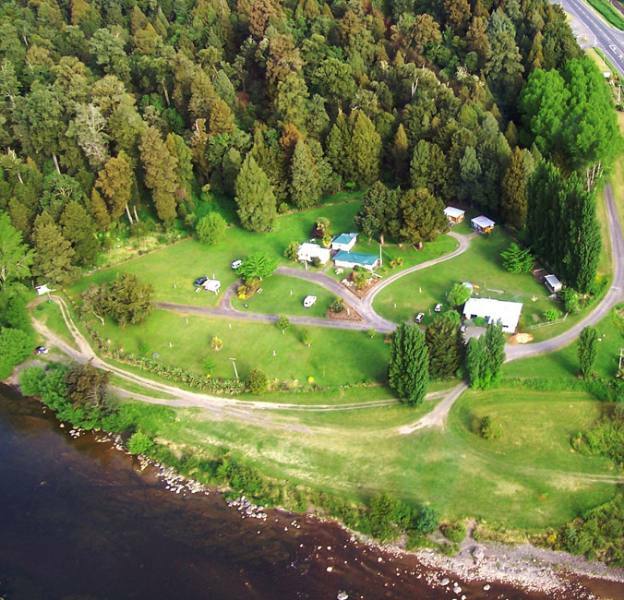 We offer powered and non-powered sites set amongst plenty of mature trees for shade and shelter, standard cabins that are all less than 25m from the shared toilets, showers and kitchen and our most popular accommodation, our self-contained Kiwi Cottage. We are in the centre of an outdoor, all-seasons adventure playground! And we’re pet friendly. We know it’s hard to leave your family pets behind – which is why we don’t mind if you bring them with you! Please click here though for things you should consider before bringing your pet with you. While some of the photos that you will see on our website pages have been taken by ourselves, a large number of our photos (the really good ones) have been taken by our guests and they are credited where this is the case. Like to see your photos on our website and around our Park? Click here for details of our Taumarunui Holiday Park photo competition.